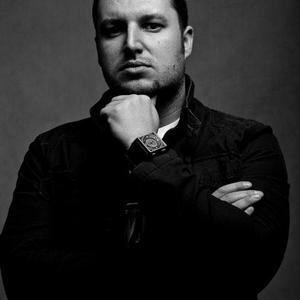 Krzysztof Pretkiewicz aka N2O/Nitrous Oxide was born in Poznan, Poland in 1984. He first listened to electronic music in the early '90s. Artists such as Jean-Michel Jarre, Mike Oldfield and Depeche Mode were the first to make such a big impression on him that he knew this is the genre of music he loves to hear. He started creating his own music in 1998 when he discovered that tracks can be created on his PC. It became his hobby and he spent all his free time making new sounds and tracks. Krzysztof doesn't have any musical education and he doesn't play on any instrument. Although it didn't stop him to improve his skills in making new and better productions. He already tried creating tracks in various genres but now he usually produces uplfiting trance. In 2003 he met Kamil Bigaj and they started a project that is now known as 3rd Moon. First tracks were hard trance but in time they changed their style to uplifting. 3rd Moon productions "Diving In The Sky" and "Moon Breeze" and his solo track "Waterfall" have been approved by DJ Precision who gave Krzysztof and 3rd Moon a chance to release this tracks. Krzysztof's tracks were in Armin van Buuren and Above & Beyond sets. He's also a DJ and he played in many Polish clubs.